How would you describe the ideal replica watch? Should it be a perfect copy of the original product, have an extremely precise inside mechanism or a very low price? No matter what your watch ideals may be, one thing you can be certain of- there is a store out there that is just right for you. 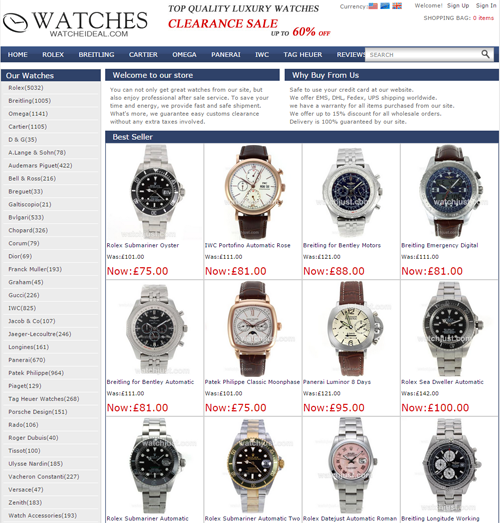 Today, our search for the perfect fake watch starts at WatchIdeals.com. 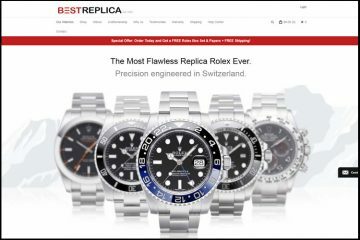 This replica watches online store is a promoter of simplicity. Its website is designed by using a simple color scheme- white and blue, plain menus and buttons, and clean pictures. There are no bright, colorful and alluring promotional banners, no eye catching features or embellishments. The page is as simple as it gets. 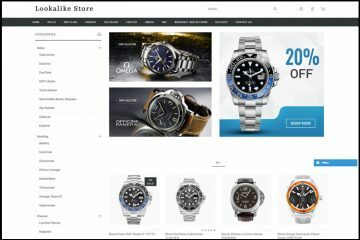 On the top side of the screen there is a short menu featuring only the best-selling brands- Rolex, Breitling, Cartier, Omega, Panerai, IWC and Tag Heuer; while on the left side there is a considerably long list with all the available brands. The selection is truly impressive, from the most famous designers to the more commercial ones, like Tissot or Galtiscopio. Even though each brand category is divided into sub-collections, browsing through the products and finding the desired model is impossible. This is because there are too many replica watches featured under each brand. For instance, just the Rolex Daytona collection has 1143 different designs. And there is no Advanced Search or a basic price filter available. You just have to go through each page at a time. The company offers both Swiss automatic movement fakes and Japanese replica watches. The most affordable ones are the knockoffs equipped with a 21 jewels Miyota automatic mechanism. These cost about 75-150 GBP. The Swiss replicas are pricier. These vary between 250 GBP and 400 GBP. The pictures are very nice. These show the replica watches from all possible sides, focus on the most important details and markings, and seem to be taken in the company’s studio. The only thing is that the size of the images is a little bit small and you can’t enlarge the photos so you can take a closer look at the details which interest you. I have also noticed that the name on the images is “Watchjust.com” and not “Watchideals.com”, meaning that the company has changed its domain recently and did not update the pictures. The description page of these replica watches has a very detailed and thorough text. The problem with it is that it’s written in broken English and this shows a serious lack of professionalism. Still, it mentions all the relevant functions, materials, markings and specs for each timepiece. WatchIdeals.com can deliver packages all around the world and it offers a flat rate shipping fee of 20 GBP. The orders are being shipped with EMS or DHL and the estimated delivery time is about 5-10 business days. Of course, all packages are sent with a tracking number that is emailed to the customer as soon as the order is dispatched. 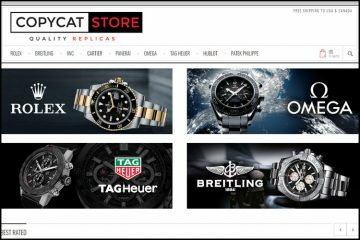 When you submit an order on this replica watches website, you have the option of paying by Visa or Mastercard. It is a great thing that the store can process payments from the world’s most popular credit card types, but I think that it should offer at least one alternative to card payments. Some people do not like paying with their card online and would prefer Bank Transfer, Western Union or Money Gram. I was surprised to read that WatchIdeals.com provides a no questions asked refund policy. This means that no matter what your dissatisfaction reasons may be, you are entitled to get a full refund if you ship the watch back within the first 14 days from the day you receive the watch. Of course, all the return costs must be paid by the customer. You can even request an exchange if you prefer to replace the replica with a different model. Unfortunately the website does not offer any information about a repairs warranty. What happens with the fake watch if it breaks after the first two weeks? I always say that when you buy a replica online, it is very important to pick a company that offers great customer service. This implies being able to contact the store by email, phone and live chat. WatchIdeals.com can be reached only by using a common Gmail address or a Contact Form included in the Contact Us page. I feel that this is a proof of how unprofessional the company is and I advise you before ordering to send a couple of emails and see how well they answer your questions. 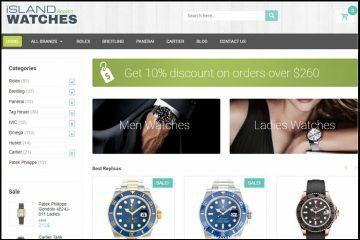 WatchIdelas.com is perfect for those who want a store that was a wide range of replica watches at very affordable prices. It has a very large selection of beautiful designs from the most popular brands in the world. It also offers very beautiful pictures for its products, worldwide delivery and a 14 days refund policy. The only downsides are the fact that it does not provide alternatives to card payments and it does not have a professional customer care department.